Our full snow removal fleet can handle any size lot. And even relocate your snow. 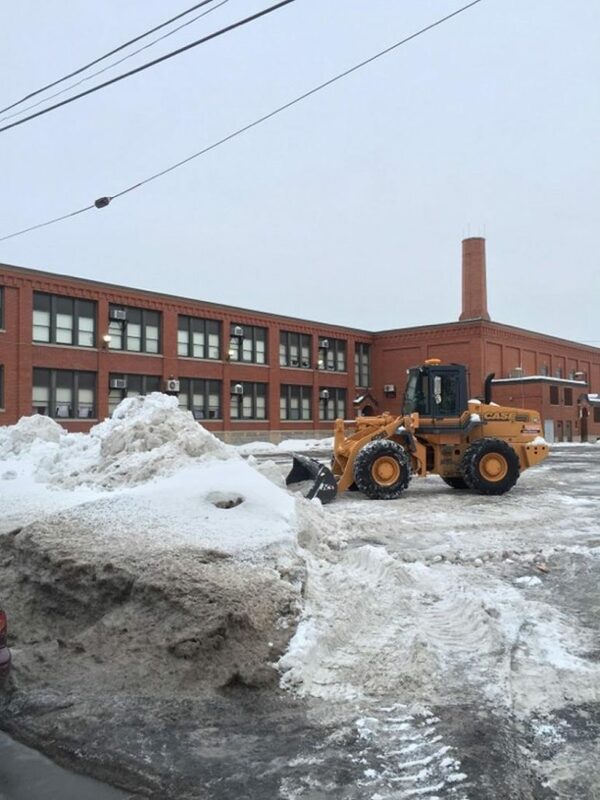 Northeastern Sealcoat & Paving has the capicity to handle all of your light and heavy snow removal. Our fleet includes loaders, snow push boxes, heavy duty trucks & plows, commercal grade salt truck and a qualified team. 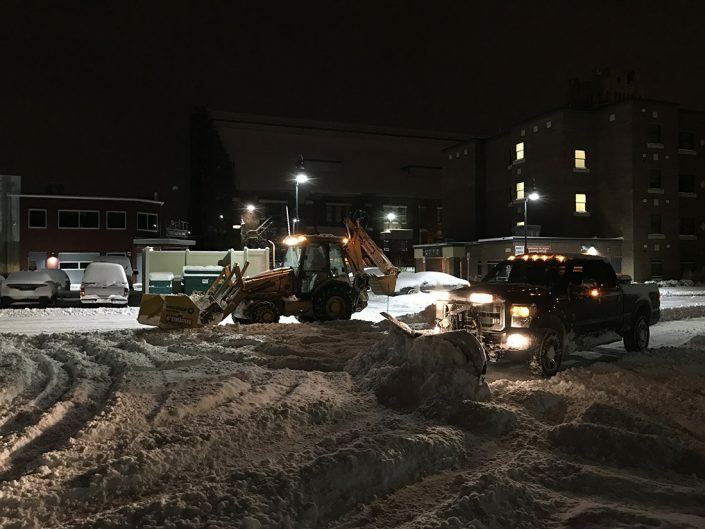 We can plow your access roads, parking lots, move snow, relocate snow and make sure your customers and employees can get in and out easily. 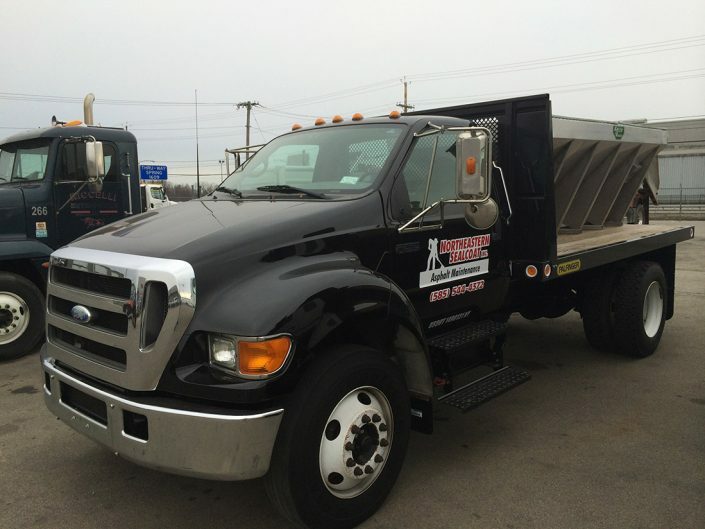 We also offer addittional maintenance work that requires shoveling and detail work. We are prompt to remove the snow when you need it most. Snow and Ice Management is crutial in Rochester NY. 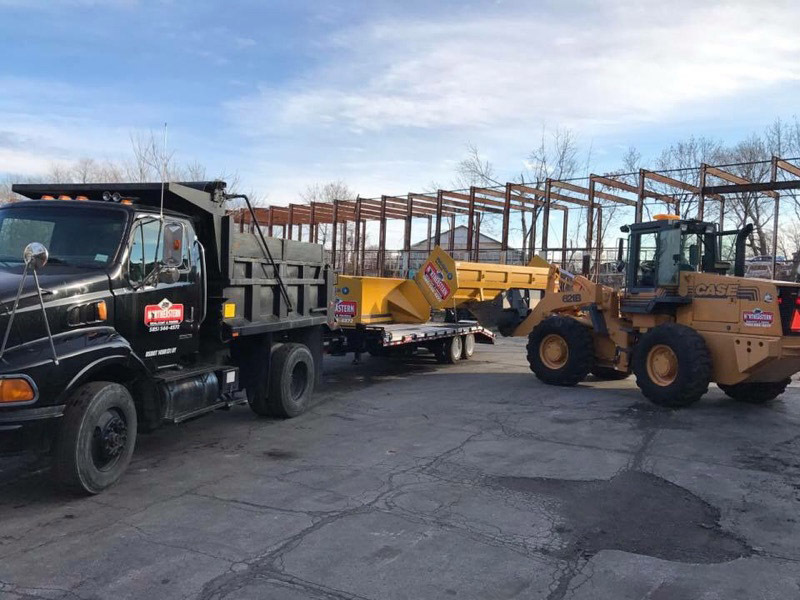 Our commercial grade salt truck can handle snow and ice management any size office or industrial lot. We can even salt your entrance ways and sidewalks. We are licensed and insured contractors. 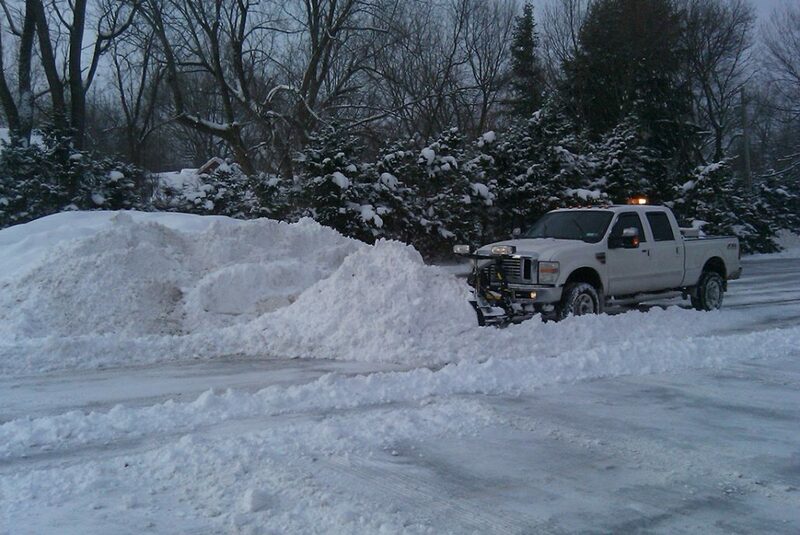 All of our snow removal and salting comes with a free estimate.